Imagine what could be: Euston Road, 2014. Image: David Holt/Flickr/creative commons. This was the take way back in 1904, from, of all places, New Zealand’s Star newspaper. A stroll around London today will reveal that, contrary to most predictions of the future, this one was not too far off being correct: London today has some big wide roads – often arterial roads – which are some of the most important in the city. But too many are unpleasant, polluted and ugly. London is one of the most polluted cities in Europe, in breach of EU regulations on air quality (although, of course, Brexit will solve that). Indeed only the other week, the London Air Report cautioned that we should “breathe in moderation”. All of this means that our main roads aren’t, on the whole, the kinds of places people would like to live. As was alluded to 112 years ago though, it doesn’t have to be like that. At Create Streets we envision another way of doing things: our new programme, Create Boulevards, is proposing a rethink of these roads. Intensely used avenues or boulevards can be both beautiful and busy. Currently however, significant streetches of many of them, such as the Old Kent Road, are surrounded by big-box retail and car parks, a criminal underuse of space in a London that requires so many more homes. At the same time we also know that new development can be unpopular – and often for very good reason. We want communities to be genuinely engaged and empowered on this, to harness people’s passions for their neighbourhoods, to be able to take the lead on how their major roads, and the buildings alongside them, should work, and what they should look and feel like. Creating boulevards will nevertheless require a holistic, city-wide approach. Take the issue of trees, for example. Everyone loves trees and wants more of them. Urban trees improve air quality. They moderate heating and cooling energy use. They improve physical and mental health. But one of the major reasons why there aren’t more trees in London is because there isn’t always the space on the crowded pavements: trees, as you might expect, need far more space than they take up above ground, because of their roots, and so you can’t just cram them in closer together. So you need more pavement space - you (obviously) can’t put a tree in a car or bus lane. Really therefore, the key reason why there isn’t space on the crowded pavements is because the pavement area could be bigger – but cars on our roads take up a lot of space inefficiently, and their needs are prioritised. So, we say, let’s think about space differently. Few of London’s major arterial roads (aside from a few Croydon-centric exceptions) strategically make any use of express buses or light rail to improve transport into the city centre; hardly any have properly segregated cycle lanes. But they could do all of these things. Kingsway Boulevard. Image: Create Streets. To demonstrate what London could have, we’ve worked with a couple of architects, Francis Terry & Associates, and Alexandra Steed Urban, who have sketched up what Euston Road and Kingsway might look like if they were boulevardised. You’ll notice trams, greenery, and dedicated, segregated space for cycling. You’ll also notice Francis Terry’s design for how the Euston Road could incorporate the Euston Arch, as an iconic, Arc de Triomphe-style feature looking up and down a green boulevard. It could even be a tram stop, with Milan’s Porta Ticinese offering a bit of a precedent there. Alexandra Steed Urban has also suggested bringing back trams to a greener, pleasanter Kingsway. Euston Boulevard. 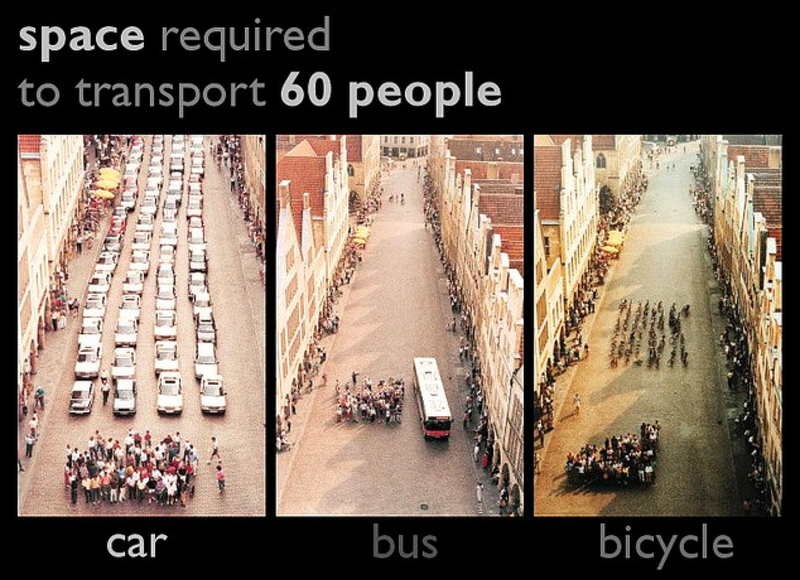 Image: Create Streets. The next big step for this is the Create Boulevards weekend, which we are planning for next June, as part of the London Festival of Architecture. There, we will demonstrate how some of London’s roads could feel if they were more like boulevards, rather than traffic-clogged car canyons. In advance of the weekend, there will be a series of community co-design events. The aim of these will be to work out what the community would like a boulevard to look and feel like, both in terms of public realm and new development. And on the weekend itself we will close motorised traffic lanes on part or all of a suitable road, leaving it open only to bus and cycle traffic. We will install temporary greenery and street furniture, and pop-up, community-built, new development. The local community will run events to celebrate the occasion and the new space. We hope – and think – that people will like it so much they’ll want to see it permanently. We’ve partnered with an array of organisations to begin to plan this, including HTA Architects, JTP Architects, and Urban Engineering Studio. We’re looking for more suggestions of places we could do it, and communities that want to get involved. That 1904 article was right in another way, too – the boulevards of London, when they finally properly arrive, won’t be a copy of Paris, or anywhere else. We don’t think they should be. We want them to be very much true to London: perhaps a bit more cluttered or idiosyncratic than Parisian boulevards, but all the more characterful for it.